The Beacon News honored the life of our Pastor George Marshall with a front-page article on February 19, 2016 about his humble beginnings and wide-reaching impact on the ministry and community. Read the article below, or view the original text here. Members of his congregation said the Rev. George Marshall had a way of prayerfully leading the faithful at Gayles Memorial Baptist Church in Aurora. Marshall, who served as pastor of the church for 35 years, died Feb. 10 at the age of 79. A wake is planned for Friday, with funeral services Saturday. “Pastor Marshall loved God,” said Danielle Wells, a church administrator. Wells joined the Aurora church as a young girl shortly after Marshall was elected pastor in 1981. “At Sunday services he gave the word exactly how it was in the Bible. He was a beloved and humble pastor,” she said. Wells said Marshall’s death has been felt all around Aurora. “We have received a lot of love and support from the community and surrounding churches since his passing,” Wells said. The Rev. Peggy Hicks, of Exalted Word Church in Aurora, said Marshall will truly be missed. Bishop Charles Phillips, of New Covenant Full Gospel Church, said he has known Marshall for years and worked with him through the Fox Valley Christian Ministerial Alliance. Phillips said Marshall was passionate about strengthening the city of Aurora, whether it be with work through families, church life or conversion of hearts. Wells said Marshall’s funeral will be held at St. John AME Church in Aurora on Saturday to accommodate the overflow of people expected to attend. “He knew what hard work was working in the fields of Mississippi and dedicated his devotion to the Lord at an early age,” she said. 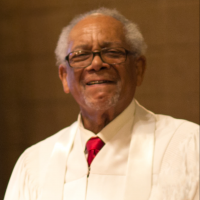 In 1956, at the age of 19, Marshall came to Illinois and joined Gayles Memorial Baptist Church when it was located in a home at 535 May St. in Aurora. In 1958, he was appointed to serve as a deacon under the leadership of the Rev. Charles Smith. From 1963 to 1968, Marshall continued to fulfill his duties under the Rev. Truman Hazelwood. Gayles Memorial was going through a transition then, of leaving the May Street location to the YMCA and finally to its current location at 730 N. Gillette Ave., church officials said. As a deacon, he served as the church’s Sunday school superintendent for 18 years. Marshall was ordained a minister June 1, 1976, and became pastor in 1981. Wells said the pastor impacted the lives of his faithful and the city of Aurora, as well as beyond, by accepting invitations to preach at churches throughout Illinois and across the country. “He built relationships with other churches,” she said. Early in his ministry, he was a chaplain for the Illinois Department of Corrections and a member of the board of directors for One Church for One Child and Habitat for Humanity. He served two years as president of the Fox Valley Christian Ministerial Alliance, comprised of ministers from the area’s churches. Marshall’s style at the pulpit was the same as when he spoke to individuals seeking guidance, Wells said. “On matters of life and the church, he would pray and let the Holy Spirit lead him,” Wells said. The Aurora pastor shared his faith openly, she added. Marshall is survived by his wife of 53 years, Barbara Marshall, and eight children. A wake will be held from 3 to 8 p.m. Friday at Gayles Memorial Baptist Church. Visitation will be from 9 to 11 a.m. Saturday at St. John AME Church, 2950 Bilter Road, Aurora, followed by an 11 a.m. funeral service.